Every gamer has heard of Assassin's Creed. 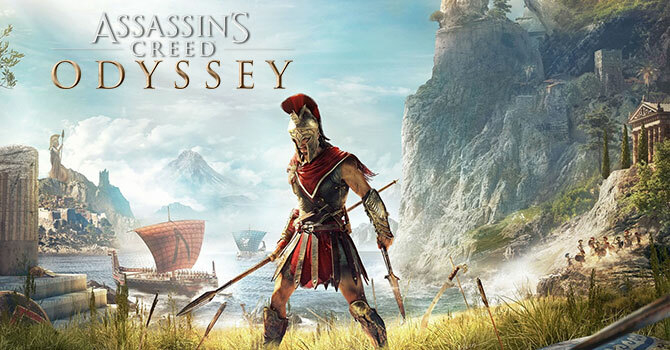 This year's installment of the series takes you to ancient Greece, where you play as a mercenary who will become a deciding factor for the outcome of the Peloponnesian War. With the 2018 version, Ubisoft has focused even more on RPG elements. They added multiple dialog options, more complex quest lines, and multiple endings. You also get to choose to play as a female character and start romantic relationships, like in The Witcher 3. The skill tree has been revamped once more and now offers more options for every play style. Quality of life improvements can be found as well. For example, you no longer need different types of bows to use specific archery skills. The added adrenaline meter ensures you don't just spam abilities later in the game, which makes combat in previous titles too easy. Game difficulty can now be changed between easy, normal, and hard, and you may also disable large portions of the HUD, so you'll have to focus more on exploring. Naval combat is also back—it was introduced with Black Flag and has a bigger presence than in Origins. From the Lord of the Rings series, Ubisoft took the concept of lieutenants you can recruit and assign to specific jobs. Another concept we've seen before is that the map consists of zones, in which it is your task to reduce a certain amount of resources to unlock a large-scale battle for a conquest objective in the zone. While the graphics do look a little bit more polished, the underlying engine seems to be exactly the same as in Assassin's Creed: Origins. The game still runs on DirectX 11, with the main differences being the wider range of graphics options and, of course, the artwork for the new setting. 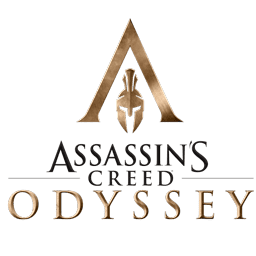 In this performance review, we put Assassin's Creed Odyssey through our selection of graphics cards using the latest drivers from both AMD and NVIDIA. We measure the game's performance across various screen resolutions, investigate VRAM usage, and even test the game's multi-core CPU performance scaling.